How does the world eat in the future? 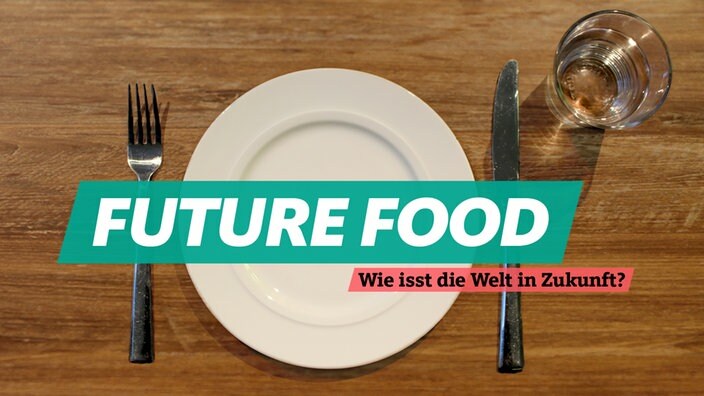 In the exciting documentary “Future Food – How is the world eating in the future?” from the WDR, microalagae and their unique potential for the future are described (starting at 01:06 min). MINT Engineering GmbH and its algae reactors for the cultivation of microalgae are shown. The film is a production within the framework of the future concept “The Synergetic University” of the TU Dresden. Our algae reactor can be seen at 1:13 min. FULLY COOKED! The JURY BERLINER MEISTERKÖCHE presents places, people and trends that have promoted the capital´s culinary stage. The algae plant on the outer facade of the EUREF-Campus is presented. This photobioreactor produces microalgae such as Chlorella vulgaris, which are used in the manufacture of nutritional supplements, cosmetics and pharmaceuticals. In cooperation with the Institute of Natural Materials Technology at the TU Dresden, MINT Engineering GmbH is studying how the production of high-quality biomass from cyanobacteria can be improved for industrial use. The algae reactor installed on the park grounds of the Malzfabrik comes from the cooperation of Andreas Greiner and MINT Engineering GmbH for the exhibition “Agentur des Exponaten” in the Berlinische Galerie. MINT Engineering is presented in a short video of the ZDF Morgenmagazin: Will the world`s harvests be enough to feed 10 billion people by 2050? The hope comes from the water: algae are considered true power plants. Rapid growth and a lot of protein. Innovation and Tradition – under this Slogan Mayor and Senator Ramona Pop visits innovative new companies in Berlin on her summer tour. How can we feed a growing world population? This question arises not only in rural areas, but also in the city. During an interview with AusserGewöhnlich Berlin, Gunnar Mühlstädt from MINT Engineering GmbH spoke about algae in 700-meter long plastic pipes. Spirulina-smoothies und Chlorella-pasta – Are microalgae a Lifestyle-bricabrac or the food source of the future? MINT Engineering from Dresden thinks its the latter – and builds Algaephotobioreactors for the food market. The company MINT Engineering developed a new control system for an algae cultivation system of AEO in Obernhausen. In the area of the biogas plant of Agrar-Energy Obernhausen there was continously researched how to cultivate micro algae. 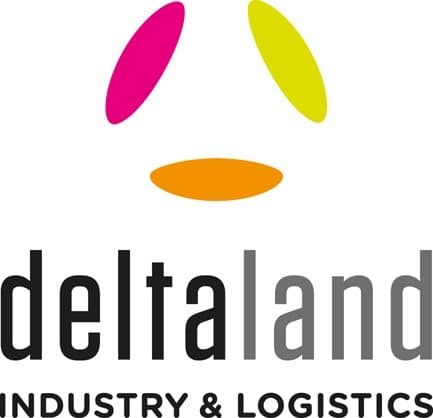 Now, the first project is officially approved for the new funding period LEADER 2014 to 2020. In the middle of Berlin on a house facade: Algae are growing. The world’s first urban algae growing system is situated in Schöneberg at the EUREF-Campus. There micro algae is cultivated mainly for the food industry. The startup of Dresden “MINT- Microalgae Integration GmbH” builds on urban farming. Instead of apples or potatoes, the engineers are cultivating algae on a house facade. In Berlin micro algae is cultivated on a house facade on the EUREF campus. Here one can produce around one kilogram algae biomass a day. The protein-rich raw material is used by the star cook Thomas Kammeier for the EUREF restaurant in smoothies or sauces. This counts as a new trend in the gastronomy! The moving-image platform “Food Culture Net” are offering TV material and footage about the topic: “Algae: From the house facade to the star cook” for free and without copyright charges by the association DIE LEBENSMITTELWIRTSCHAFT. Algae are said to be the number one raw material of the 21st century. One estimates that around 73 000 different kinds of algae are existing. But only a handful are yet been scientifically discovered. The biggest “algae producers” are to be found in the Asiatic area which are China, Indonesia or the Philippines. In Europe France is the biggest producer with about 90 000 tons algae. Mostly these algae areccultivated in aquacultures or algae farms. In Berlin this is not the case: In the middle of Berlin on a grey house facade algae flourish and grow. Located at the EUREF-Campus in Schöneberg, Berlin, a plant is installed which produces algae mainly used for the food industry. The media interest is unbroken. Of course the presentation of the algae production on the EUREF-Campus could not be missing. MINT Engineering demonstrated how micro-algae on the facade of house 4 arise, grow, can be harvested and get further processed. In the shadow of the gasometer: the EUREF-Campus in Schöneberg is a fascinating research laboratory for future development in terms of energy, mobility and sustainability. On the terrace on the 2nd level of building 4-5 Gunnar Mühlstädt is harvesting micro-algae. Algae is a raw material in great demand. Its breeding is not as easy as it seems. The innovative company MINT Engineering builds on photobioreactors. One of those systems is located on a house facade in Berlin. Bioreactor allows algae growing on an house facade – test system located in Berlin. Here at the EUREF-Campus, which is an energy and innovation center of research institutions and firms, micro-algae is growing: tiny, unicellular organisms which live on a diet of carbon dioxide and sunlight to produce chemical energy. MINT Engineering introduces itself – Micro algae contain high quality protein, carbohydrates, fibers, vitamins, saturated and unsaturated fatty acids, minerals and trace minerals like iodine. The productivity of the micro algae is astonishing. In short time algae can convert light and carbon dioxide into valuable biomass. In Berlin the worldwide first tubular plant in urban area was opened. Algae grows in tubes on a building facade. They are predicted to be the resource of the fututre and are also used in tooth paste as a stabilizer. Algae use carbon dioxide and supply resources. A algae plant in Berlin is supposed to improve the technology. The products can be tried on site. For decades there has been research on algae bioreactors, until now it lacked the big breakthrough. In Berlin researchers have approached a new method. They heated algae in tubes on building facades. This way they extract algae paste and powder, which is known for its positive impact on health. For example you can also make fruit smoothies with the algae. Under this motto the planners met on the EUREF-Campus in Berlin in the showroom of Palmetto GmbH and Georg Fischer.Over 110 participants from all over Germany got insights at 6 different events on the new revolutionary COOL-FIT 2.0 tubing system for efficient cooling. Conclusion of all participants: unforgettable experience! Algae also be found use where you wouldn’t expect them: in cosmetics, ice cream or yogurt, toothpaste or margarine. They color farmed salmon pink and gummies blue. Algae is known to be a resource of the future – and now they are also growing on homeowners facades. On Monday the 18th of July 2016 the worldwide first tubular algae plant will officially start production as the very first in an urban area. This special event will be opened festively by Cornelia Yzer, Senator for economy, technology and research in the county of Berlin. Algae, source of protein and biofuel, are traded as raw material of the future. Now they are also growing on building facade in Berlin. With your naked eye you can’t see the „green Gold“. Only with a trained eye you can recognize an algae farm in the parallel assembled tubes on the facade in Berlin, Schöneberg. Here on the EUREF-Campus, a energy innovation center of institutions and companies, micro algae are cultivated: small, single celled organisms, which live from the energy of the sun and convert this energy into chemical energy. In the summer the „harvest“ is used in the in campus restaurant. Algae as food. The biologist Marcella Langer is in charge of the standards. This work is ground breaking since standards do not exist for algae up to date. Right now micro algae is cultivated on the facade on the EUREF-Campus. Worldwide this is the first plant in urban area. The rbb is on excursion tour in Schöneberg. The excursion leads to the famous Gasometer on the EUREF-Campus. From here the view over the city and the MINT Engineering algae facade is marvelous. Definitely worth the view. Algae production What do green water plants have in common with agriculture? The 4th Niedersächsische annual algae convention in Werlte shows, how small organisms can be a income alternative for farmers. The worldwide first tubular algae plant in urban area started production in spring 2016 in Berlin. The plant was installed on the facade of house 4-5 on the EUREF-Campus in Berlin, Schönerberg. Besides the culinary accent the plant also compliments in looks. Algae. Everyone knows them as tiresome ocean organisms which can spoil beach vacation, as constantly acclaimed ingredient of cosmetic products or from the local sushi restaurant. The fact that they are all rounders in energy production is big news for most people. Micro algae is especially interesting as biomass producer. They grow up to ten times faster than land plants, do not use up agricultural space and every cell engages in photosynthesis. At night the facade on the EUREF-Campus shines in bright green. At daytime you can observe the tubular plant in which air circulates threw water. The two photo bioreactors of MINT Engineering GmbH produce algae in the middle of Schöneberg, Berlin. MINT Engineering GmbH installed a photo bioreactor on the EUREF-Campus in Berlin for micro algae cultivation and to show the potential of reactors in urban areas. The system components were provided by GF piping Systems. On Friday the 22nd of April 2016 starting at 10:00 am, visitors can experience the powermass at its production site. MINT Engineering is hosting a open-door day and invites everyone who is interested into their showroom next to the algae plant. The AlgaViva is free and every visitor will be greeted with a free algae drink. Recently, a greenish shimmering tubular object graces a building facade on the EUREF-Campus in Berlin. At night it visually glows, at daytime the constant movement of water and air can be observed. The tubular object isn’t art on the facade, it is the first tubular algae plant in urban area worldwide. The vertical system was concepted by MINT Engineering GmbH, the company has opened the micro algae cultivation to the private market. The CEO Gunnar Mühlstädt gave GartenNatura a interview. Algae have been known to appear on Japanese food menus or to cause green lakes in the summer. However in the last few years attention has changed towards the small organisms. Especially the discovery of health beneficial characteristics have made algae more interesting. Energy from biomass is not a new Phenomenon. Many farmers for example, have appropriate equipment installed on their lands and transform the biowaste from their farms into energy. However bio-energy has been criticized, because many crops are specifically raised as biomass to produce energy. This leads to fields filled with crops which won’t be used for food production – this is also referred to as the “tank” or “plate” problem. As a consequence of this algae has moved into focus of scientists. Algae produce approximately 5-10 times as much biomass compared to land plants, without using up agricultural space. An example of this method can be found on the EUREF-Campus where Palmetto GmbH have their headquarters. The company installed a so called photo-bio-reactor on their building facade. Algae on a facade in Berlin – Energy source of the future? Since November, a algae plant has been installed on a facade on the EUREF-Campus in Berlin, Schöneberg. The project was made possible by Palmetto GmbH. The photo-bio-reactor produces micro algae (Chlorella vulgaris), which is used for the production of food, cosmetic- and pharma articles and also for biofuel. The reactor is close to the show room. Therefore at events, algae based food can be prepared in the open kitchen area. Algae as energy sources of the future: The EUREF-Campus in Berlin installed a bioreactor on their facade. The bioreactor will supply raw material for food, cosmetics and pharma articles. A innovative way, the micro algae convince with their numerous benefits. Algae have long been used as a source of food and increasingly as a biofuel. In Berlin the world´s first recirculation system for algae has been set up on an outer building facade.